Improve Photography is a network of the most information-packed podcasts on photography available anywhere. Subscribe to our new shows on iTunes for free and you'll get a new 20 to 45 minute audio show downloaded to your phone automatically each day of the week. Best of all, it's completely free! 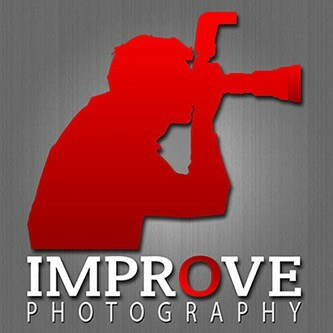 Improve Photography PodcastThe Improve Photography Podcast is the original photography podcast, hosted by Jim Harmer and joined by all the hosts of the I.P. Network hosts in a weekly roundtable discussion on all genres of photography. Read more, see episodes, and subscribe. 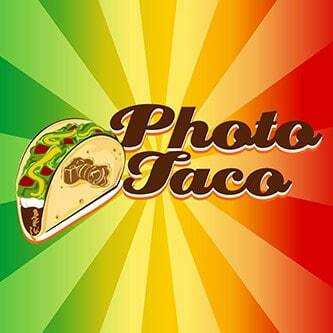 Photo TacoPhoto Taco is the only photography podcast with tips you can learn in the time it takes to eat a taco, or perhaps a burrito. Jeff Harmon hosts this twice-weekly podcast with quick, no-nonsense tips. Read more, see episodes, and subscribe. Portrait Session PodcastPortrait session is a weekly podcast for portrait and people photographers. 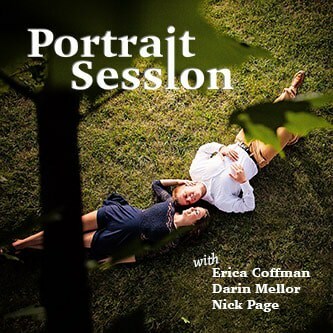 Erica Coffman, Darin Mellor, and Nick Page, all full-time professional portrait photographers, host the show and cover topics like flash, model releases, pricing, shooting portraits as a hobbyist, and more. Read more, see episodes, and subscribe. 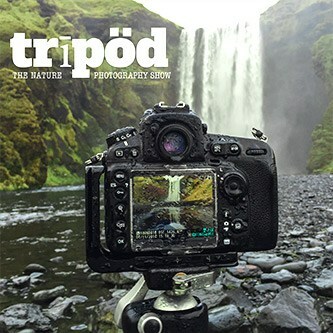 Tripod: The nature photography showEach week, Jim, Nick, and Majeed takes us into the world of nature photography, sharing the tips and tricks they use in landscape and wildlife photography. The show is one of the only dedicated nature photography shows on iTunes.Read more, see episodes, and subscribe. All of the shows are now available on iTunes! Great podcasts! All are interesting and instructive. You’re just missing here the latest: Tripod! Wonderful podcast that has belatedly joined the rest. I’ve been trying to leave a review for TRIPOD on iTunes for weeks, but it keeps giving me the error “reviews are not available at this time”…. Trying to gives props for the quality new content ! Jim, I enjoy your podcast each week. Keep up the good work. Great show. However, I don’t know about your statement regarding paying a small fortune to Facebook to get your posts shared with friends…… My friend Jack Dykinga is a pretty well known photographer and he has a Facebook page for Jack Dykinga Photography. Let me just say that his experience has been very different from what you said on the recent podcast. Not sure who to believe. Yay!!! I’ve been looking forward to these!!! Hi Winning team, any chance of your podcast on RSS format ? I hope that you’ll continue to let us access and download the podcasts from the individual pages, like I did today. I haven’t been here for a while but used to download the podcasts as mp3 files and listen on my mp3 player during my commute. I don’t do itunes and don’t have a “catcher”, whatever that is, I can’t see that nice, very simple option of simple mp3 download any longer. Have you discontinued that? I am listening and enjoying all of your shows! Hi there, I believe Erica said she was going to attach a questionnaire to one of the podcasts about what to ask the bride and groom before the wedding. Can you direct me to the correct podcast for that form? I’m a beginning photographer learning a lot from listening to the Improve Photography podcast. I was listening to episode 130, and I heard something I don’t think is correct based on my limited knowledge. The podcast implied you get “more reach” using a lens on a crop sensor than on full frame. I don’t believe that’s the case. The lens will cast the same image circle regardless of the sensor behind it. Assuming the full-frame and crop sensors have similar pixel densities, and assuming an image of a far-away bird fills a 1000×1000 pixel square in the middle of a full-frame sensor, wouldn’t it also fill a 1000×1000 pixel square in the middle of a crop sensor? In other words, no additional reach? Hi Steven, glad you’ve been enjoying the show. It’s true that a crop sensor camera produces a much more telephoto image when at the same focal length and lens as on a full frame camera. So if you have a 56mm lens on a crop sensor camera, you’ll get the same angle of view as an 85mm lens on a full frame camera. This built in crop factor isn’t a good or a bad thing. It’s just different. I’m reaching out because we are producing photography gloves for the cold weather photographer and after listening to your podcast for the past year I’d like to give back. If you are like us and suffer from cold hands during your winter shoots, then send me your shipping address and size and we’ll get some to you. I can’t attach a picture here, but if you head to http://www.photographygloves.com then you can check out our glove. Oh and thanks for your great podcasts too, they have helped both with my photography and entertainment when I’m out walking the dog. How can I find the Facebook group link for portrait session? It’s the only one I can’t find. Listened to your new podcast this morning on my commute (Tripod), a couple things were mentioned that I am interested in that were going to be put in the show notes. I don’t see the new podcast on the list, how do I get to the show notes? Great website, great podcasts! Thank you for all the effort you put into sharing your knowledge. It is greatly appreciated. Hi Jim – Are there plans for an RSS feed for the Tripod podcast, or will it be iTunes-only? Where are show notes for Tripod? You guys keep talking about the notes, but I can’t find them on the Improve Photography website. add Tripod to the Main Podcasts menu! Love the podcast, but like the poster above am struggling to locate the show notes – any chance of a link here? Keep up the good work! Great shows during 2016, keep up the good work. Thanks for all the time and effort you put into them. I am always learning new tips and the gang’s passion motivates me to try new things. Unsurprisingly I am also buying things I didn’t know I needed and decided I couldn’t live without. Tôi cảm thấy rất tuyệt vời với những gì bạn chia sẻ . Cảm ơn rất nhiều ! Jim, you need to add Latitude!! Where is your new travel podcast? Doesn’t show up on this page’s list of Improve Photography Network podcasts. It’s called Latitude. Should be available wherever you listen to podcasts.